Space Sheriff Time Presents the Space Sheriff Trilogy Subbed! You are seeing it right! We can finally have a proper fansub for the Space Shariff Trilogy namely Gavan, Sharivan and Shaider. Midnight Crew Subs, Bunny Hat Subs and Hikari Senshi present Space Sheriff Time! 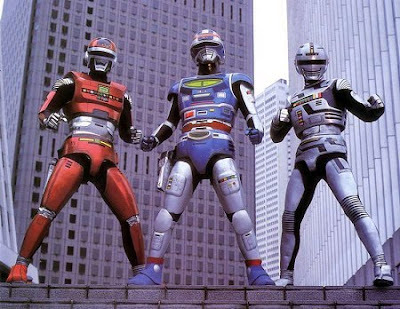 Teaming up and pooling our resources, we have decided to give the neglected Metal Heroes genre of tokusatsu some time in the spotlight. We’re going to do this by having each of the groups sub a different show at our own pace and what else could we start with the Space Sheriff Trilogy. Bunny Hat Subs will sub Gavan, Midnight Crew Subs will sub Sharivan and Hikari Senshi will sub Shaider.